It’s hard to believe that Jody has not published her auto-biography until now, 15 years after receiving the 1997 Nobel Peace Prize. Yet it’s not surprising given the intense pace at which she continues to advocate for peace and justice, both in the US and around the world. It can be hard for activists to find time to reflect and write about their own lives when there is so much to do, but recording how we work is just as necessary as doing it. This memoir, as Jody prefers to call it, is an important contribution to the slim body of literature written by the people who work daily to make change. It provides refreshing personal and professional perspectives and as such it is the opposite of the analysis of our activism that so many academics, think tanks, and others fail to understand. Throughout the book Jody shows how she has put into practice her mantra that “ordinary people” can achieve extraordinary things when they take action, work with others, and follow-through. This is not a “how-to” guide to campaigning, but a unique insight into various types of activism such as bringing policy-makers to the field and the reverse, bringing the field or, in this case, the minefield, to the policy-makers. The memoir involves a concept that Jody, her partner Steve Goose, and I described as “citizen diplomacy” in the 2008 publication “Banning Landmines” that the three of us co-edited. My documentary film “Disarm” also examines this concept and the work of the movement to ban landmines. I first met Jody in 1993 when she visited New Zealand seeking my government’s support for the call to ban antipersonnel landmines. It would take a few years and constant encouragement from her for our campaigning efforts, but eventually–in April 1996–New Zealand renounced antipersonnel mines. The prime minister told the foreign minister to relinquish his “step-by-step” approach and New Zealand went on to become a champion of the Mine Ban Treaty. I had been offered a scholarship to look at the political, humanitarian, and security implications of a total ban on landmines and in the course of the Masters thesis volunteered to assist the New Zealand Campaign Against Landmines, communicating regularly with Jody, who was coordinator of the International Campaign to Ban Landmines. We’ve never looked back, going from banning landmines in the 1990s to banning cluster bombs in the 2000s and now a new initiative against fully autonomous weapons or “killer robots” as Jody prefers to call these machines that would target and kill without any human intervention. The sections on the early days of the landmine campaign when the goal seemed like it would take decades to achieve serve as a reminder of how far our campaigning has come. We now email and Tweet rather than mail and fax. But while the tools may have changed, the challenges, as Jody describes them, remain the same from ineffective consensus-based disarmament diplomacy to the ever-challenging US government. 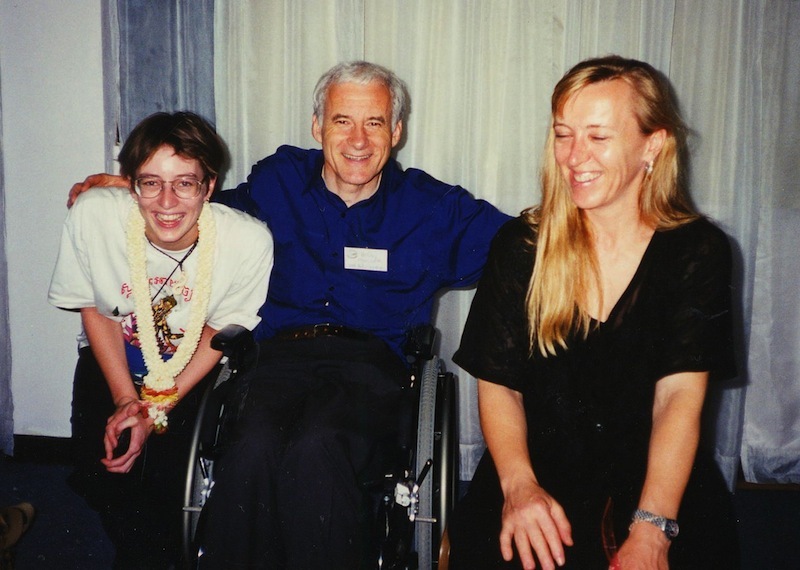 When Jody and the International Campaign to Ban Landmines secured the Mine Ban Treaty in Oslo in September 1997 and returned less than three months to collect the 1997 Nobel Peace Prize it felt like we were on top of the world. She describes the experience as “surreal.” At the time I remember saying “It doesn’t get any bigger than this so enjoy it as it’s going to be all downhill from here.” But the reality has been nothing like that. Jody’s description of the day when the Mine Ban Treaty was agreed is a reminder of the importance of capturing the moment when the unthinkable happens and an idea proposed by civil society is adopted as law by governments. This is a rare and thrilling thing, as campaigners celebrating the recently hard-won Arms Trade Treaty will agree. Other aspects of the movement to ban landmines that Jody helped to steward have become central elements for today’s work to advance humanitarian disarmament, from placing victims at the centre of the campaign to working with core groups of like-minded governments to creating global coalitions of diverse NGOs united in a common goal. Time has faded some memories. As an eternal editor, I’ve let Jody know that the Mine Ban Treaty was signed and ratified on the same day in Ottawa by Canada and two other states – Ireland and Mauritius (not Austria and Norway). Jody has made maximum use of the gift that the Nobel Peace Prize Committee bestowed on her, including at the Committee’s home in Oslo where she succeeded in convincing them to post pictures in their office of the organizations that have won the Nobel Peace Prize, in addition to individual recipients such as herself. At the time Jody was only the 10th women to receive the Nobel Peace Prize in its nearly 100-year history and her advocacy for the Nobel Committee to recognise more women has paid off, especially last year with not just one, but three incredible women laureates. The period immediately following the Ottawa Process and signing of the treaty was one of turmoil for Jody and others, myself included. So to see Jody describe how her and Steve are “really and truly living happily ever after” makes my heart sing. NSP Research – Updates is powered by	WordPress 2.9.2 and delivered to you in 0.122 seconds using 22 queries.